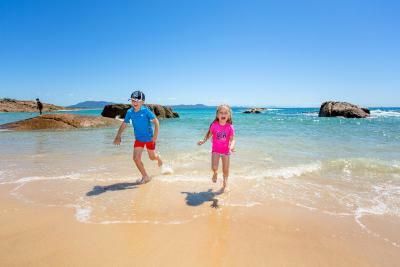 Lock in a great price for BIG4 Sunshine Resort – rated 9 by recent guests! 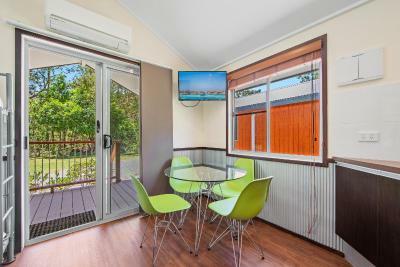 We were offered to upgrade our stay upon arrival into one of the parks new 2 storey cabins. It was gorgeous! Couldn’t fault it at all. 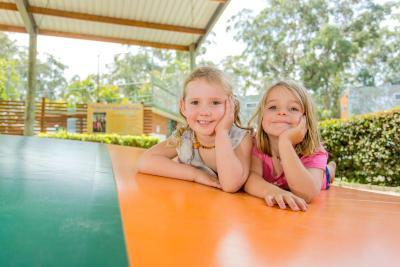 Park facilities were perfect for children & seeing kangaroos around the park was really nice. So much for the kids to do. 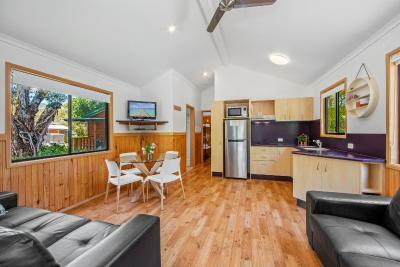 Lovely cabins, clean, tidy and everything you need. Wildlife. Location. Lovely property and very welcoming! Kids had a blast at the on the pool slides and looking at all the nature around. The accommodation and facilities were fantastic. All staff we came into contact with were friendly and helpful. The pool and activities were also amazing. Excellent pool facilities with lots of interest for the kids. Loved the glamping tent, comfy beds. Lovely outlook onto the bush. 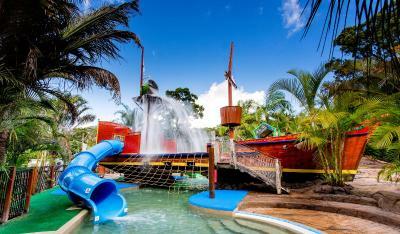 Perfect for kids- they loved the water park and the amazing pirate ship. Lovely restaurant on site with good food. The room was amazing, girl's on the desk were lovely and very helpful. 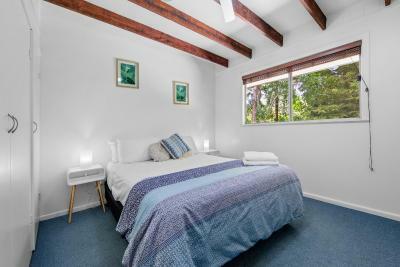 BIG4 Sunshine Resort This rating is a reflection of how the property compares to the industry standard when it comes to price, facilities and services available. It's based on a self-evaluation by the property. Use this rating to help choose your stay! 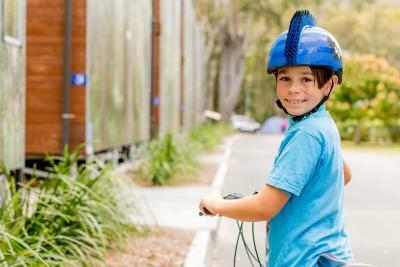 One of our top picks in South West Rocks.Boasting a fun packed children’s water park, a tennis court and an outdoor pool, BIG4 Sunshine South West Rocks offers villa accommodations in South West Rocks. The property offers free on-site parking. 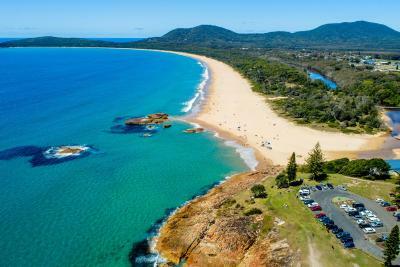 Trial Bay Beach is just 12 minutes' walk or 2 minutes' drive from BIG4 Sunshine South West Rocks. South West Rocks Town Center is and offers a variety of shops, restaurants and local markets. 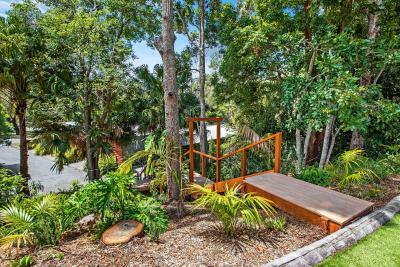 The property backs on to Saltwater Lagoon, which guests can explore by hiring canoes. 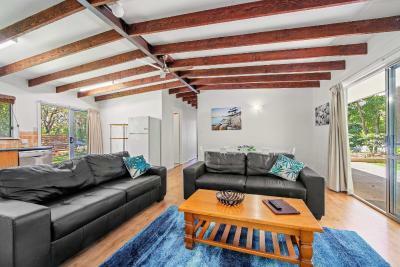 BIG4 Sunshine guests can enjoy relaxing in the shared lounge area, or playing table tennis in the games room. 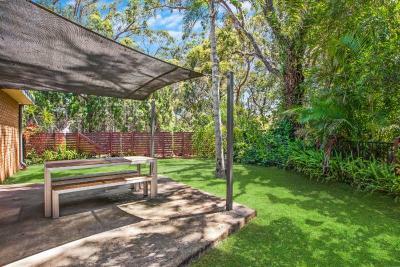 Surrounded by landscaped native gardens, you can prepare a meal using the BBQ facilities. Each bungalow will provide you with a fully equipped kitchen including a microwave and a refrigerator. All offer a seating area with a flat-screen TV with movie channels and a DVD player. 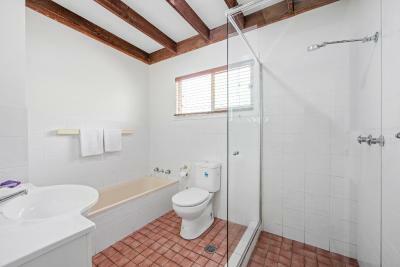 Your private bathroom includes free toiletries, hairdryer and a shower. When would you like to stay at BIG4 Sunshine Resort? 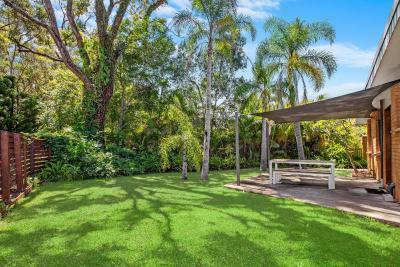 This Two-Bedroom Villa is located in the middle of the park, in the entertainment hub of Sunshine. It is a self contained cabin featuring a Queen bed in the Master bedroom, and bunk beds in the second room. 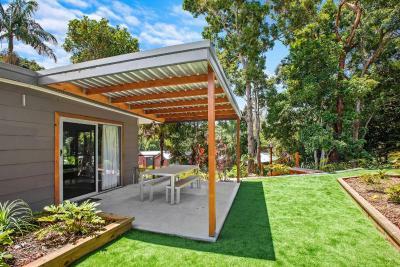 Included is an private bathroom, fully equipped kitchen with hot plates, large fridge/freezer and microwave, as well as a dining table, sofas, ceiling fans, reverse cycle air conditioning, TV, DVD player and an outdoor deck with seating. Linen, bath towels and all bedding supplied. Guests will need to bring their own beach towels if required. Please note Cabins 1 - 3 are port-a-cot cot friendly in 2nd bedroom. 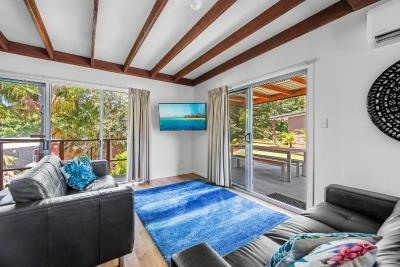 Cabins 5 and 6 include a single sofa bed in the lounge area. Cabins 2, 4 and 7 have a double sofa bed in the lounge area. The luxurious, eco, 2 bedroom cabins are located in-between the bush and the inflatable jumping pillow so guests have easy access to both. It features a Queen bed in the Master bedroom along with a flat-screen TV. The second bedroom has 2 sets of bunk beds (there is also space for a port-a-cot). 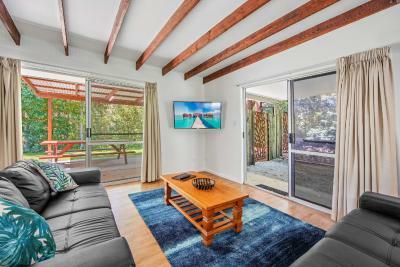 The Villa also features a full kitchen with dishwasher, hotplates and fridge/freezer, as well as an private bathroom, plasma TV, VCR/DVD player, CD player, washing machine/dryer, dining table, leather lounges, reverse cycle air conditioning and outdoor deck with seating. Linen, towels and all bedding supplied. Guests will need to bring their own beach towels if required. 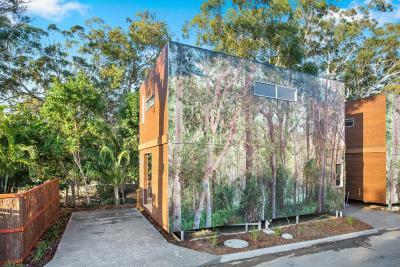 This large open plan studio features air-conditioning, a queen bed, set of bunk beds, kitchen and living area all in the one room. 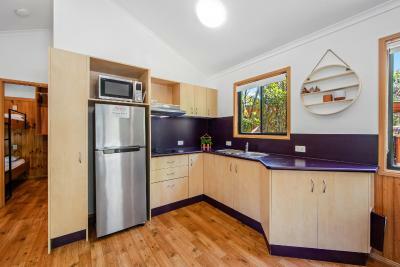 The fully equipped kitchen offers a fridge/freezer, hot plates, microwave, kettle and toaster. 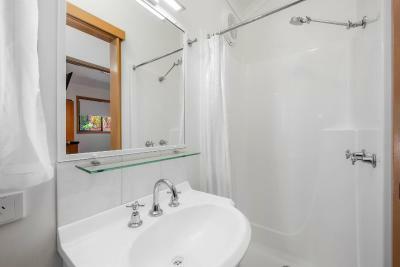 There is an private bathroom, ceiling fans and small outdoor deck with seating. 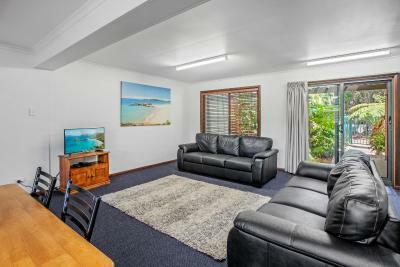 There is also TV, DVD player, dining table and chairs. 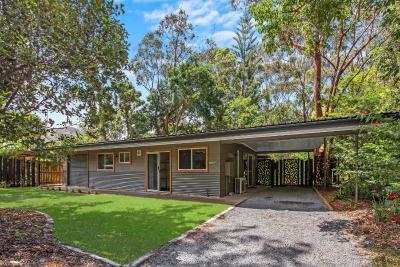 This Gumnut Family Villa is tucked away in the corner of the park, where kangaroos will occasionally come and visit! 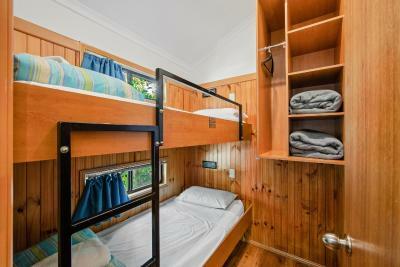 It is a one bedroom self contained cabin with Queen bed in the living area and bunk bed in the bedroom. 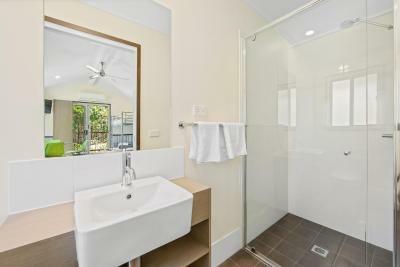 Included is an private bathroom with spa bath, fully equipped kitchen with hot plates, large fridge/freezer and microwave. 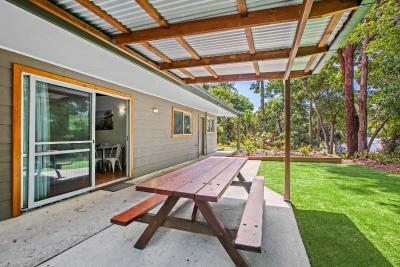 There is also a dining table, sofas, ceiling fans, reverse cycle air conditioning, TV, DVD player and outdoor deck with seating. Linen, bath towels and all bedding supplied. Guests will need to bring their own beach towels if required. 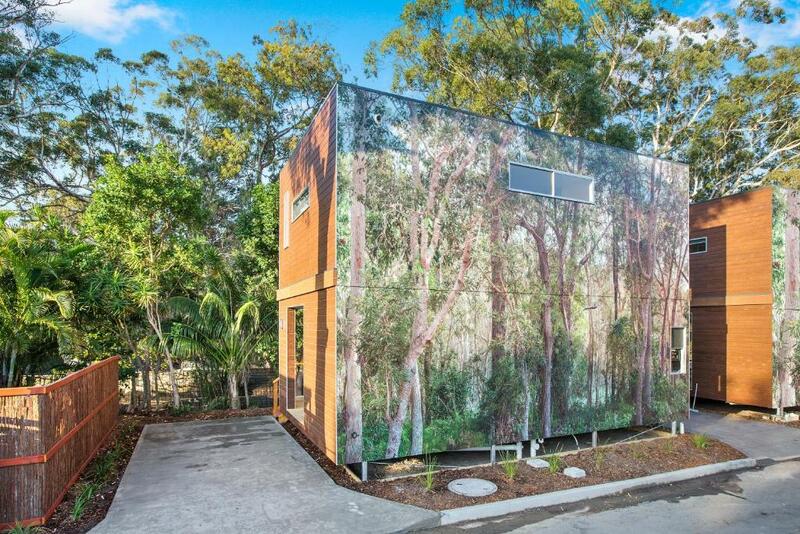 The Gumnut Family Villa is tucked away in the bush. It is a one-bedroom self contained cabin and features a Queen bed in the living area and a bunk bed in the bedroom. 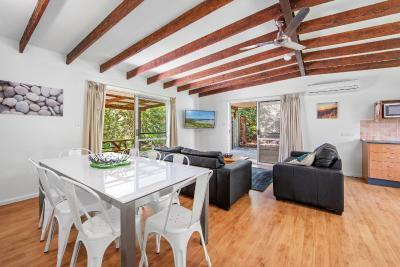 Included is an private bathroom, fully equipped kitchen with hot plates, large fridge/freezer and microwave as well as a dining table, sofa, ceiling fans, reverse cycle air conditioning, TV, DVD player and outdoor deck with seating. Linen, bath towels and all bedding supplied. Guests will need to bring their own beach towels if required. 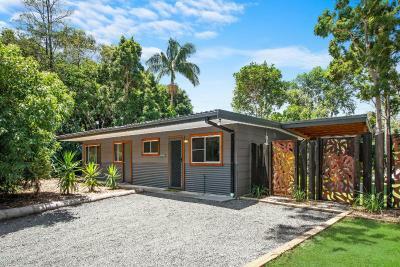 A three-bedroom, self-contained cottage. 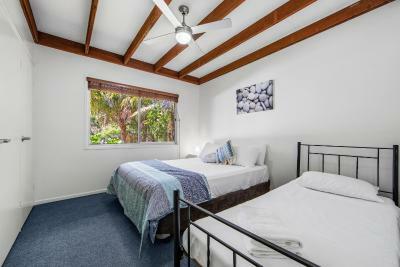 The Master bedroom features a Queen bed (and will fit a port-a-cot), the 2nd bedroom has a double bed and the 3rd bedroom includes a set of bunk beds and a single bed. 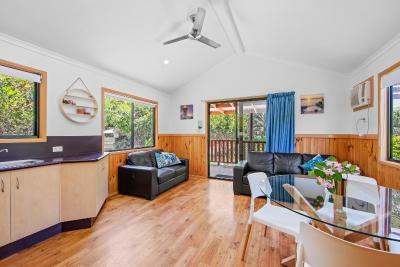 Also featured is a full kitchen including oven, microwave and large fridge/freezer, a bathroom with bath and shower, 27 in flat-screen TV, DVD player and reverse cycle air conditioning. Also included is a dishwasher. Linen, towels and all bedding supplied. Guests will need to bring their own beach towels if required. Please note this cottage is located at the entrance to the park, beside reception. Parking for this cottage is outside the park gates. Guests can use all of the park facilities. The Two-Bedroom Villa is located opposite Shipwreck Island Water Park. The self contained cabin features a Queen bed in the Master bedroom, and a tri-bunk bed in the second room (double bed with single above it). 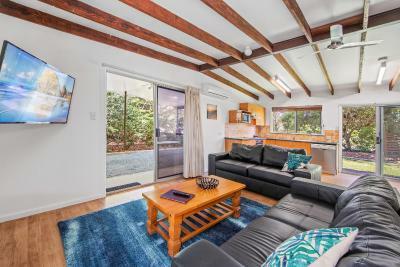 There is an private bathroom, fully equipped kitchen with hot plates, large fridge/freezer and microwave, a dining table, sofas, ceiling fans, reverse cycle air conditioning, TV, DVD player and outdoor deck with seating. Linen, towels and all bedding supplied. Guests will need to bring their own beach towels if required. The luxurious, eco, 2 bedroom cabins are located in-between the bush and the inflatable jumping pillow so guests have easy access to both. It features a Queen bed in the Master bedroom along with a flat-screen TV. The second bedroom has 2 sets of bunk beds (there is also space for a port-a-cot). The Villa also features a full kitchen with dishwasher, hotplates and fridge/freezer, as well as an private bathroom, plasma TV, VCR/DVD player, CD player, washing machine/dryer, dining table, leather lounges, reverse cycle air conditioning and outdoor deck with seating.Linen, towels and all bedding supplied. Guests will need to bring their own beach towels if required. 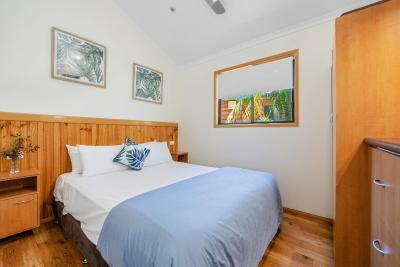 The Cottage - 2 is a three bedroom, air-conditioned and self-contained cottage. The master bedroom featured a Queen bed (and can fit a port-a-cot if required). 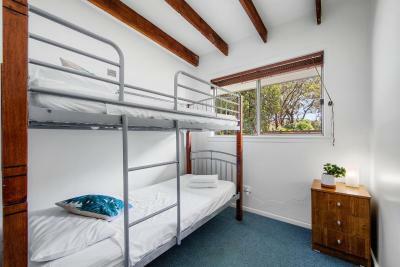 The 2nd bedroom includes a Queen and Single bed while the 3rd bedroom has a set of bunk beds and a single bed. The Cottage also has a full kitchen with an oven, microwave and a large fridge/freezer. 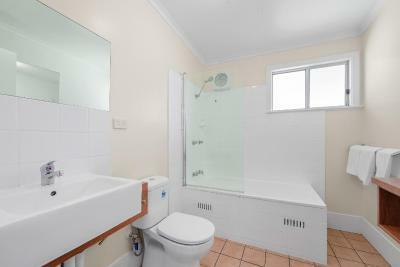 The bathroom includes a bath and shower. Also featured is a 27 in flat-screen TV, DVD player and full laundry. Linen, towels and all bedding supplied. Guests will need to bring their own beach towels if required. Please note Cottage 1 & 2 are located on Phillip Drive, which is outside the park itself, beside the restaurant. There is plenty of parking available. To access the resorts facilities, a gate is located at the back of the cottage, which gives you private access to the resort. 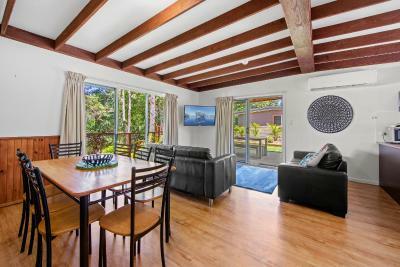 The Cottage - 1 is a 3 bedroom, air-conditioned and self contained cottage. 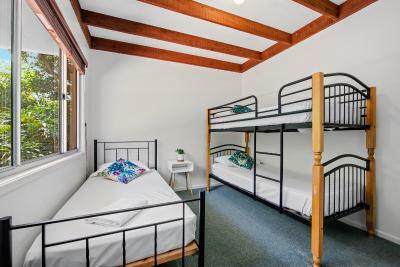 The main bedroom features a Queen bed, the second bedroom has a Queen and Single bed, while the third bedroom includes a set of bunk beds. There is also a double sofa bed in the lounge area. 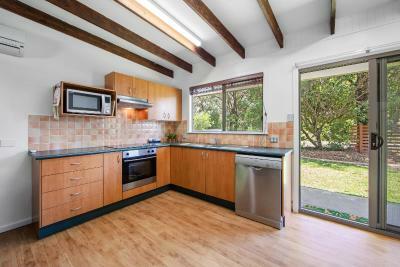 The Cottage also includes a full kitchen with oven, microwave and fridge/freezer and a bathroom with bath and shower. Also featured is a 27 in flat-screen TV and DVD player and full laundry facilities. Linen, towels and all bedding supplied. Guests will need to bring their own beach towels if required. 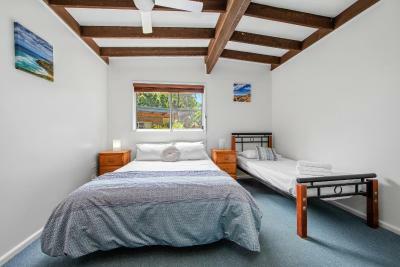 This open plan studio includes a Queen bed, set of bunk beds and a kitchen and living area in the one room. 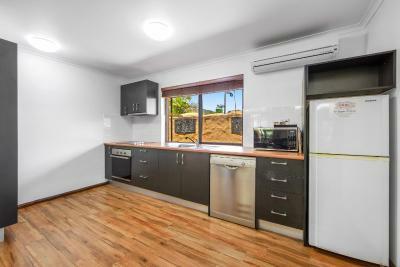 The full kitchen has a fridge/freezer, hot plates, microwave, kettle and toaster. There is an private bathroom, air-conditioning as well as ceiling fans and a small outdoor deck with seating. A TV and DVD player are also included and there is a dining table and chairs. All linen and bedding supplied. Guests will need to bring their own beach towels if required. The Designer Saltwater Two-Bedroom Villa is a modern and luxurious unit, nearby the undercover inflatable jumping pillow and playground. The Master bedroom includes a Queen bed along with a flat-screen TV. The second bedroom includes 2 sets of bunk beds (with room for a port-a-cot). The Villa also includes a plasma TV, bathroom, laundry facilities, reverse cycle air-conditioning, fully-equipped kitchen with oven, dishwasher, hotplates and fridge/freezer, a living/dining area with leather lounges as well as a gorgeous deck with seating. Linen, towels and all bedding supplied. Guests will need to bring their own beach towels if required. The air conditioned master bedroom of this 3-Bedroom Villa includes a king bed, a flat screen smart TV and an private bathroom. The second bedroom has a king bed, a flat screen smart TV, and access to the bathroom. 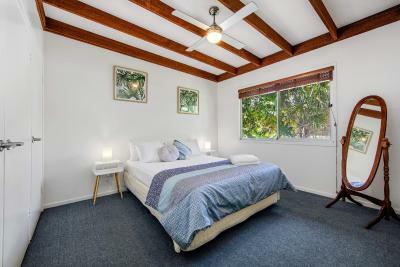 The third bedroom has 3 single beds. 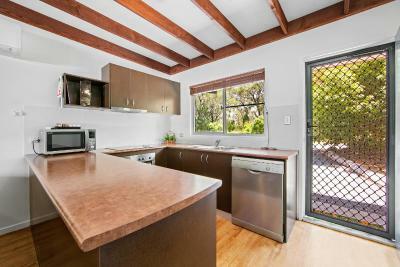 There is also a fully equipped kitchen with hob, oven, microwave, and dishwasher. Relax in the large living area with a TV, sofa and dining table. Enjoy the deck with outdoor seating. A separate laundry with washing machine and dryer is also provided. All linen, bedding and bath towels supplied. Guests need to bring pool towels. The Sunshine Tent features a Queen bed, single bed and double futon in one room, with a covered deck area. It includes a fridge/ freezer, fan, kettle, toaster, sink with cold water, lighting and power points. 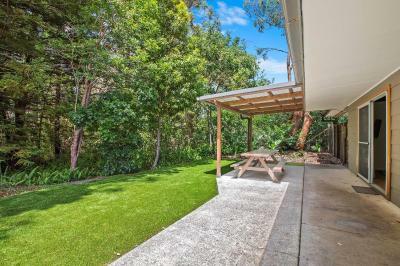 A covered deck area is also available to enjoy. Linen and bedding is supplied. Please note maximum occupancy is 5. This 2-bedroom, 2-story, luxury Ngurra Lodge includes king sized beds in each bedroom for a truly relaxed night, along with a set of bunks in the second bedroom. The full kitchen offers an oven, microwave and dishwasher. 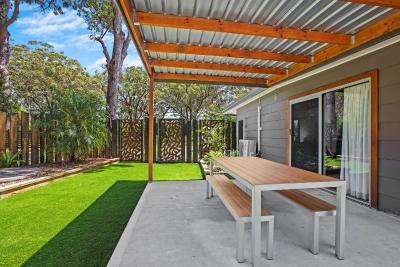 Guests can choose between indoor and outdoor seating. 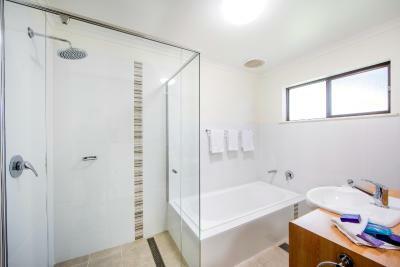 The spacious ensuite has a double shower head. All linen, bedding and bath towels supplied. Guests need to bring pool towels. What makes our property special? Where do we start?! 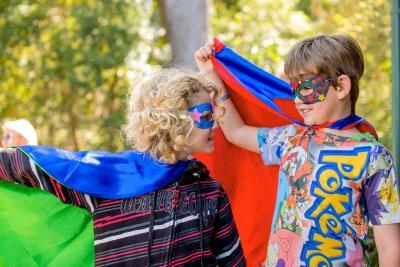 From our friendly team, to our fabulous fresh restaurant, to the variety of our rooms and last but not least, our amazing facilities for kids & big kids alike! Enjoy the fact that we are surrounded by National Park so you have the feel of staying in nature, but with friendly staff and all the clean & well maintained facilities that you would expect from a resort to ensure your stay with us is five star. 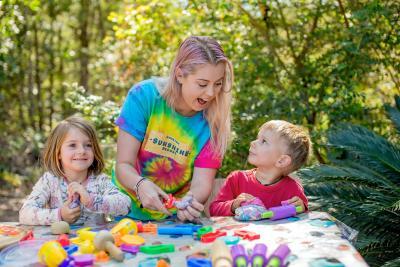 House Rules BIG4 Sunshine Resort takes special requests – add in the next step! Debit card BIG4 Sunshine Resort accepts these cards and reserves the right to temporarily hold an amount prior to arrival. BIG4 Sunshine Resort accepts these cards and reserves the right to temporarily hold an amount prior to arrival. The pirate ship swimming pool is awesome! I didn’t like the fact that there was no oven or BBQ in the lagoon room! Thought it was expensive enough to have something like that! So there for had to wait for a bbq at the bbq bays! They need more bays. The pool area for the kids was good. Wasn’t really that I didn’t like bit if I had to give a negative it would be The cabin was a bit far from the pool but at the same time, it was probably quieter where we were. Vicinity to other guests ( but it was a caravan park), just felt very busy. Noisy kids on bikes. No washing up detergent. The accom. quality and size was appalling for the price. Whilst I understand we were paying a premium for the time of year, the reality did not match the few photos on your website. We should also have had WiFi access for ALL occupants not just three and this WiFi should have been unlimited. The Full Circle eatery attached to the park was hideously overpriced, lacking in options and bulked up with salad rather than the actual meat type ordered. Games room staff were unpleasant and definitely need training in customer service or simply how to smile and make basic conversation. The neighbours who smoked on their balcony next door which blew into our cabin. The kids who weren’t supervised and were behaving dangerously in the pool. There was so much to do. The kids loved it.